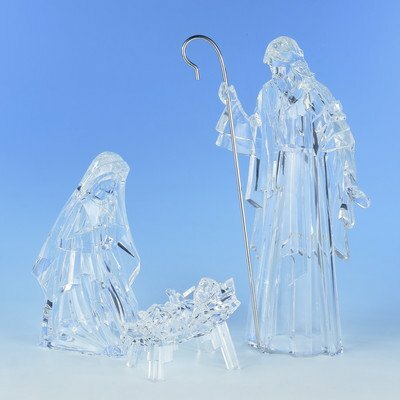 38437 Features: -Three piece holy family figurine set.-Crystal cut look. Construction: -Acrylic construction. Dimensions: 15.5"H. Made by Roman.